Furious Turkey has summoned Germany’s charge d’affaires in Ankara and is recalling its ambassador from Berlin “for consultations” in the wake of a Bundestag resolution formally labeling the Ottoman-era massacres of 1.5 million Armenians as genocide. 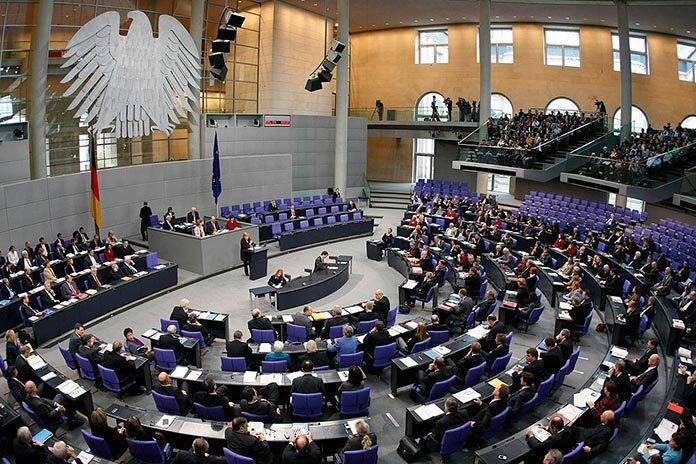 The resolution drafted by Chancellor Angela Merkel’s ruling Christian Democrats party jointly with its junior coalition partner Social Democrats and backed by the opposition Greens was passed overwhelmingly by German lawmakers on June 2 despite strong pressure and protests from Turkey. Turkish President Recep Tayyip Erdogan warned later on Thursday that the Bundestag resolution would “seriously affect” bilateral ties. Armenian Foreign Minister Edward Nalbandian, meanwhile, swiftly welcomed the resolution in Germany. “President Joachim Gauck’s statement on the occasion of the Centenary of the Armenian Genocide together with this resolution adopted by the Bundestag are Germany’s valuable contribution not only to the international recognition and condemnation of the Armenian Genocide, but also to the universal fight for the prevention of genocides, crimes against humanity,” the top Armenian diplomat said in a statement. “While Germany and Austria, as former allies of the Ottoman Empire, are today acknowledging their part of responsibility in the Armenian Genocide, the authorities of Turkey are continuing to obstinately reject the undeniable fact of genocide committed by the Ottoman Empire. The international community has been waiting for 101 years that Turkey would face its history,” Nalbandian added. The governments and parliaments of nearly three dozen nations, including Russia, France, Brazil, Italy, Canada and others have recognized the mass killings and deportations of 1.5 million Armenians in the Ottoman Empire as genocide. Some of the nations (Switzerland, Greece, Cyprus, Italy, Slovakia) have also criminalized the denial of the Armenian Genocide. Successive governments in Turkey have denied that the killings of hundreds of thousands of Armenians in the Ottoman Empire during the First World War were part of a race extermination plan and thus constituted genocide.